Two words, Entertainment + Blockchain. TV-TWO is your entertainment video app that lets you earn crypto. It is the perfect rewards app where you can watch videos and make money. If you are looking for a smooth and modern entertainment video app then you should try TV-TWO. With a cool design that lets you easily search your favorite channels. It works with machine learning and that means TV-TWO with Machine Learning enables to tailor the content to your interests and behavior. 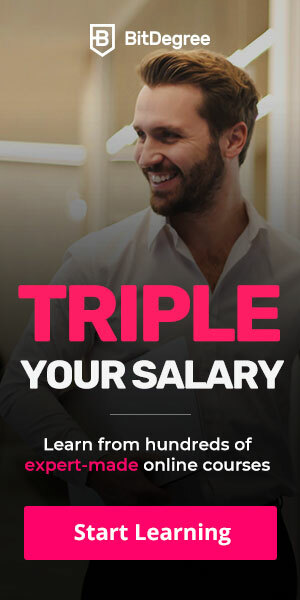 Now you may wonder how to earn or more info on how to earn with this app which is by the way available for both android and ios devices. Fist you watch videos on TV-TWO, you receive credits for each video you watch (that depend on the video length) and after you can click on the Ethereum icon in the bottom-right corner to see your balance. As soon as you reach 50K credits in the app you can Request Payout to transfer to your personal wallet which is easy I did it in 5 days (you can see my earnings on the screenshot below). You can trade the Ethereum token for Bitcoin, Ethereum or US Dollars. Is this legit? How legit is TV-TWO? How can they do this? Well TV-TWO gives advertising revenue generated on the platform back to its earning community. Expect the rewards to increase when the revenues increase. About webtalk, just yesterday the founder and CEO of Webtalk posted on his profile to wish all of webtalkers Merry Christmas and that Webtalk reached 1,900,000 users. But what makes webtalk better than the rest social networks? The thing that is featured on ABC news alone makes it a serious opportunity. Webtalk has many features that Facebook does not have. Post to Personal Network or Private Group Channels. Built-in privacy displaying content based on contact permissions, customizable with html, and also get recommendations from others to establish credibility. Also pages for businesses and entertainers like built-in stores, built-in reviews, built-in product importer (from another store), built-in contact management and you never pay to reach your followers. Now how can you benefit from it now that Webtalk is in beta? You can invite your contacts to connect/follow/recommend you and you can share revenue for life. It’s featured in news you don’t wanna miss this, so click to learn more. 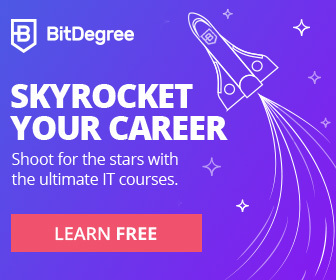 Bitdegree is a home of hundreds of online courses that scaled many careers worldwide. Their lessons are very easy to learn and they approve only excellent courses but with affordable education for everyone. And on top of that you can also earn with Bitdegree by promoting courses. Imagine promoting udemy or coursera and getting paid, now you can do it with Bitdegree without paying anything. There also many competitions and the best thing is that if you have a skill you can also create your own course, became an instructor, and earn by teaching millions. I hope you take some time and try those opportunities, you won’t regret it. I am so impressed and I guarantee you none of this opportunities is a scam, they are all so transparent and you can also check other reviews online. If you have any questions then please leave them in comment form below. Train the smart way, be a cre8tor and a motiv8tor in your life! Love this post. My favorite is Bitdegree, on of the best educational platforms if it’s not the best and you can earn while you earn by showing this to your friends. Becoming an instructor there even better. Great review Motiv8tors team.